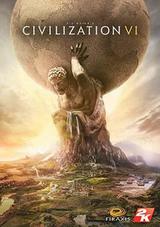 I am a huge Civilization fan. I’ve played every game since Civilization 1 and even some spin offs like Alpha Centauri and Colonization. I own a physical copy of every Civilization game dating back 28 years. I was quite intrigued by the prospect of playing Civ 6 on a console. There have been scaled down versions of this game made before. I played Civilization Revolution on Windows Phone and on PS3, but this would be the full experience on Nintendo Switch. Exciting! First about the game. Civilization 6 is very much like any Civilization in the series. You expand your empire while you try to balance finances, military, culture and science. It is fun and very recognizable. What they’ve changed in this version is that they’ve removed some of the micro management of the cities and making that simpler. At the same time they’ve added something called Civics that contain too much information that gets hard to get a grip on the first time you play. I don’t really like that they dumbed down some of the systems like culture and religion, but I welcome that it makes the game more approachable. By the end this game has the same problem as any other in the series. You spend a lot of time and effort at the start of the game building your empire but at later stages there is not much more to do than pressing Next Turn and hope that something you construct has been completed. Maybe that is a fault in the way I play, but I would like the game not to be so front heavy. They game fails to communicate how to win, so I actually lost the space race. If I knew I should’ve built several space ports I would have won easily, but the game failed to communicate this even though I had “tips for people new to civ 6” turned on. The port to the Switch works ok. Sometimes the UI makes little sense. It took ages before I understood how to build with a builder. I could just remove things with my builder, until I noticed that the build button was placed elsewhere in the UI. It neither made sense to me that I would switch between unit and city with the same button as switching between units on the same tile. The map jumps like crazy when I try to select the right unit, and the units will not always do what I order them to. It requires me to tell the unit twice before it attacks. Sometimes I don’t understand at all why my unit moves and stacks with the enemy instead of attacking. The UI is too small for the Switch screen. It is also hard to see what is happening even when you zoom in. Yet, they cannot get everything on screen. At the end of the game I can’t see all my resources in the top bar because they don’t fit. When I connect the game to my TV the UI becomes huge. Buttons are enormous while the text size is ok. I guess it is quite hard to find a balance as everyone has a different size TV. We sit with gargantuan sized computers compared to the Amiga 500 that was running Civilization 1 and still we wait for the computer to make its moves. This should not be a thing in 2019. Why do I have to wait for the computer? This makes me outright angry. What makes me even more angry is that the game crashes every fifth turn at end of the game and it requires me to restart the game. Every time I restart the game I also need to accept 2K terms. So I get an e-mail that I accepted the terms every time I start the game. This is insane. When I stopped playing connected to the TV the game crashed less often. I can only assume that the game leaked less memory on a smaller resolution screen, and therefor crashed less often. I did get to the end my game, but I didn’t feel that it was an enjoyable experience. Not sure if I will play this much more, which makes me kind of sad.